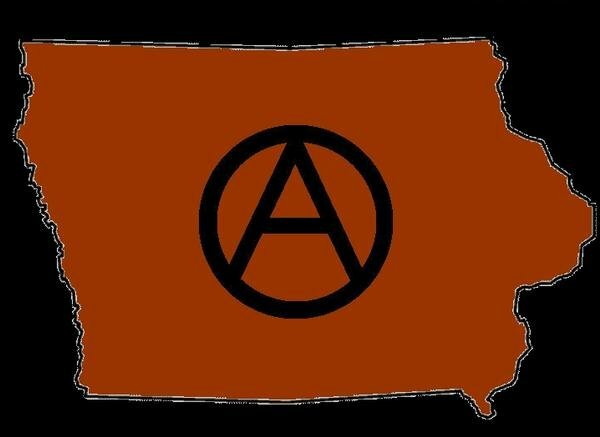 In 1976, anarchists and libertarian socialists in Iowa called for a "Continental Organizing and Communications Conference" with the aim of moving towards forming a midwest federation. However the conference resulted in arguments about the principles of unity proposed, the structure of the conference itself, the male-dominated aspects of the discussion, and the issue of 'Marxist' terminology and politics, among other things. These are 5 report backs from the conference. Provided by the Workers Solidarity Alliance archives in New York. Oh these reports should be a real treat. I recall aspects of this. I wasn't there, but was in contact with many of the folks. Seen a number of the doucments when they came out in then real time. Alll these years later, some of this stuff may not either make sense or seem "so old". Part of the debates, styles and clashes were as much about real ideas, as they were between Big A anarcho-syndicalists/anarchist-communists/anarcha-feminists and small "m" marxists, socialist-feminists and new leftists coming over to libertarian communist ideas. A number of the mid-west big "A's" became founding members (along with oursleves) of the ACF/NA. Look forward to further reading. Way cool Juan! Reading this stuff it seemed like a struggle between what I would consider lifestyle anarchists and libertarian socialists that were still breaking with Marxist-Leninism, with other currents such as anarcho-syndicalists in between this. This is now all typed up and done.